Osteoarthritis (OA), known as degenerative joint disease, is the most common of all arthritic conditions. This so-called "wear and tear" arthritis typically affects middle-aged and older adults. Weight-bearing joints are usually affected—the hips, the knees, and the spine, but also the finger joints. Little is known about the exact cause of this type of arthritis. Although it is not inevitable like death and taxes, about 85 percent of Americans have some degree of OA by age 75. The most common risks are being overweight, having a family history of OA, and having a congenital defect (e.g., hip dysplasia). People who repeatedly injure their joints, such as runners who have spent 20 or so years pounding the pavement in pursuit of healthy bodies, may begin to develop OA in their knees as they move into their 40s. OA is a condition that affects the cartilage ("gristle") in joints. In a healthy joint, the smooth, elastic cartilage that cushions the ends of our bones does not have its own blood supply. It receives oxygen and nutrients from the synovial fluid that surrounds and bathes the joints. Over the years, cartilage can become thin, fray, split, and wear away completely. The ends of the bones at the joints then begin to grate on each other. This causes pain, stiffness, and limited joint movement. Unlike rheumatoid arthritis, there is little inflammation (i.e., swelling, redness) in the joints. If you have arthritis, treatment you are using or considering should be aimed at relieving your pain, maintaining or improving your joint function, preventing disability, and improving your quality of life. Over-the-counter pain relievers. Acetaminophen is generally considered the first choice because it usually costs less and has fewer side effects than the anti-inflammatory pain relievers, such as ibuprofen and aspirin. Acetaminophen overdoses can be toxic to your liver, and alcohol enhances its toxic effects. Ibuprofen should be avoided if you're allergic to aspirin or have asthma, heart failure, kidney problems or ulcers. Aspirin should be avoided if you have asthma, a history of ulcers, a bleeding disorder or if you're taking a blood thinner. Supportive devices to help you maintain your activities. These include canes, crutches, splints, walkers, and special shoes. Prescription pain relievers. The latest prescription drug for arthritis pain is a group of anti-inflammatories called COX-2 inhibitors, which includes the new drugs, celecoxib (Celebrex™) and rovecoxib (Vioxx™). These nonsteroidal anti-inflammatory drugs (NSAIDs) are easier on the stomach than aspirin or ibuprofen. The most commonly reported side effects for Vioxx™ are diarrhea, headache, insomnia, edema, and upper respiratory infection Corticosteroids injected directly into painful joints (usually limited to one to three injections per affected joint) have been a long-standing treatment for arthritis. They may negatively effect other medical problems, and may lower your resistance to infections. Common side effects include increased appetite; indigestion; nervousness or restlessness; trouble in sleeping. There is also the possibility for more severe side effects. Skin creams. Capacian is rubbed into the skin over the affected joint. The main ingredient is an extract from hot peppers; it appears to relieve joint pain in some people. Surgery (almost always a last resort). This includes osteotomy (removing a wedge of bone from an affected knee or hip joint); total hip or knee replacement; small joint replacement in the hands; and the rarely used fusion for OA in neck, spine, hip, knee, and other joints. The hottest? and some would say most controversial -treatment for OA is glucosamine. This amino sugar is a naturally occurring chemical in the body that helps stimulate the production of collagen, one of the main components of cartilage. There is increasing evidence that glucosamine relieves the OA pain in some people. Summarizing the research on this supplement as treatment, an Arthritis Foundation publication reported that more than a dozen European studies show glucosamine provided some pain relief in about half of the participants with mild to moderate OA. 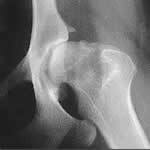 Chondroitin, another nutritional supplement, was included in these studies of glucosamine [Arthritis Today, 12, no. 5 (September-October 1998): 448-451]. According to Drug Research (41 1991) glucosamine is safe and non-toxic. Stomach upset and nausea have been reported as infrequent side effects. Although glucosamine is not a "cure" for OA—and neither are more traditional drugs—both alternative and mainstream medicine acknowledge that more research is needed about the role that glucosamine has in slowing or reversing cartilage degeneration. Some researchers point out that while elsewhere in the world, glucosamine is used as front-line therapy for OA, in the United States, it is not. ("Complementary/Alternative Therapies in Select Populations: Elderly Persons," in Complementary/Alternative Medicine, An Evidence-Based Approach, edited by J. Spencer and J. Jacobs. St. Louis: Mosby, 1999, 340-348). Boswellian serrata (Indian Frankincense), an herb used in combination with other herbs and zinc, was also shown to significantly reduce pain and disability in a small study of OA (op. cit, 403). While Western medicine is concerned about the unregulated potency, purity, and doses of nutritional supplements and herbs for treating OA, the literature shows enthusiasm for research into their promise, particularly glucosamine. Frances Alves, M.P.H., is a health writer and editor who has been writing for consumers for over 20 years. Osteoarthritis (OA), the most common of all arthritic conditions. Rheumatoid arthritis (RA) affects the whole body so that RA patients often feel as if they have a virus. The membranes lining joints become inflamed, causing pain, warmth, redness, and swelling. Involved joints—typically wrists, knuckles, knees, and joints of the balls of feet—can become misshapen and misaligned. RA usually begins in middle age, affects joints on both sides of the body, such as both wrists (unlike OA, which can affect just one knee or one hip), and is much more common in women than men. Fibromyalgia is a condition involving generalized muscle pain, fatigue, and poor sleep. Tender spots (when pressed) on muscles are the hallmark of this condition. Juvenile rheumatoid arthritis (JRA) is a completely different condition in children with at least three major subtypes that affect single joints, multiple joints, or the entire body. In most children, the disease completely disappears over time. Gout is a type of arthritis characterized by attacks of sudden, severe pain in body joints. The joint most often affected is at the base of the big toe. Gout can also affect knees, ankles, feet, and (less commonly) joints in the arms. The pain is caused by a build-up of uric acid crystals in the joints. Systemic lupus erythematosus (lupus, SLE) is an autoimmune disorder. That is, antibodies (that your body produces) attack other parts of your body. A red skin rash may be present; about half of SLE patients have arthritis in their joints, but not to the degree of intensity and disability as RA. Lupus is a very individual condition: some people aren’t aware they have it, but others have a major illness. Ankylosing spondylitis is a genetic disease?over half of the people who develop it have a family member with the condition. It is known as attachment arthritis because tendons and muscles that attach to bones become inflamed. The typical site is the bottom of the spine (sacrum) where pelvic bones connect. Low back pain is the hallmark of this condition.